CORD Leader Raila Odinga sent his condolences to the family of deceased Zambian President Michael Sata. I send my deepest condolences to the family of President Michael Sata, and to the people of Zambia on the loss of a leader who dedicated his life to uplifting his citizens and his county. In his death, Zambia has lost one of the most significant figures in its history. After a long struggle for the leadership of his country, he took brave and controversial decisions in pursuit of a better and dignified Zambian nation. Sata was a brave and daring leader who loved his nation and I believe his nation loved him. I wish the people of Zambia peace and stability at this critical moment of transition and pain. Gravelly-voiced as a result of years of chain-smoking, Michael Sata rose to political prominence in the 1980s. He quickly earned a reputation as the hardest-working governor while in charge of Lusaka and as a populist man of action. But he was also known for his authoritarian tendencies, an abrasive manner and a sharp tongue – and his critics say his nickname of “King Cobra” was well-deserved. 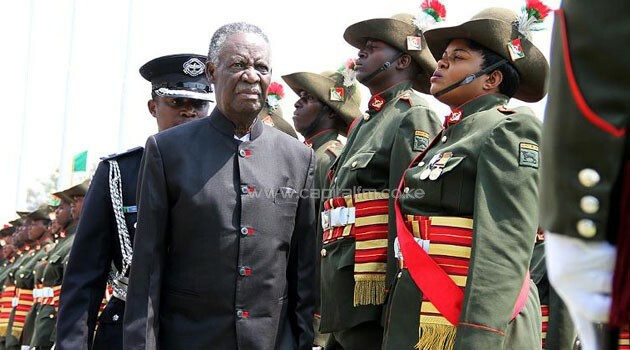 A devout Catholic, Mr Sata had worked as a police officer, railway man and trade unionist during colonial rule. After independence, he also spent time in London, working as a railway porter, and, back in Zambia, with a taxidermist company. On the fourth attempt, Mr Sata won presidential elections in 2011. At first he looked as if he would keep promises to tackle corruption and create jobs and prosperity.